Flash Effect – Professional Flash Designer Amsterdam gives an overview of impressive flash effects that can be created with Flash. Get inspired by our Flash designs and order any Flash item you like and let us customize it to your needs. We have published several Flash Effects like Flash banners and headers, Custom Flash Design, Flash text effects, Flash menus and Flash buttons which can be used for your site. You will find something that suits your needs on our site. We can easilly customize our Flash designs to create the perfect Flash Effect for your site or advertisement. Tell us your wishes. How much of which Flash item do you want to purchase? Which size does your Flash object need to be? What text to use and any other specifications. 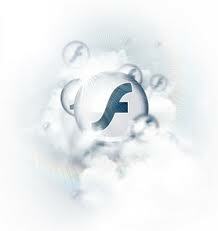 Flash Effect will create an unique Flash Design. You can give feedback about the Flash Design and the Flash Effects we use. We will make adjustments according to your feedback and send the Flash Design to you. Now the Flash object is normally finished but you can stil give feedback. We can then still do some minor changes to make sure that you will be a happy client and give us a good review.